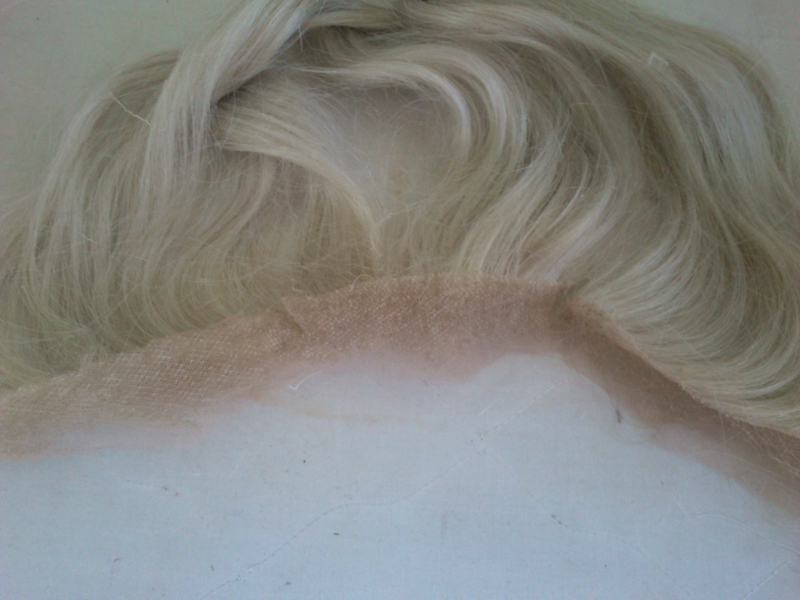 I have three lace front wigs that were not entirely perfect. The first was just a size too small for my head, the other two were slightly too dark for Elsa. 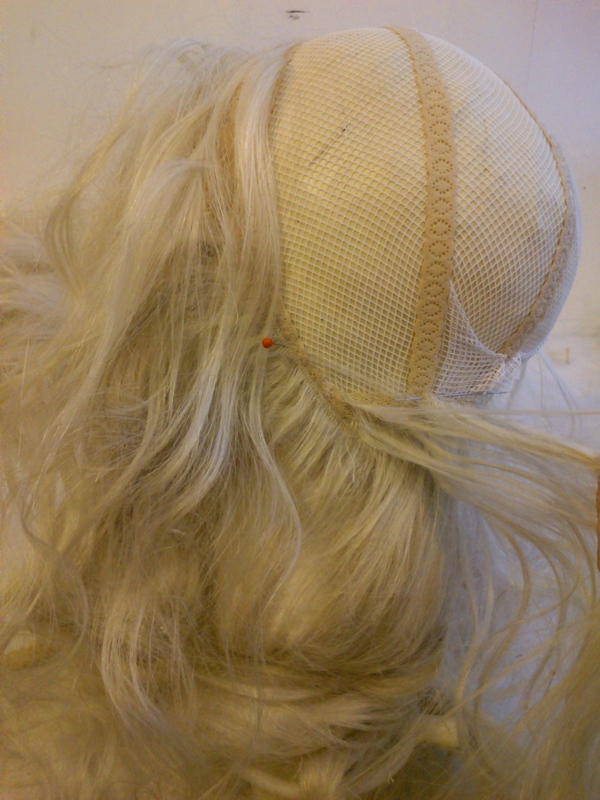 Step One: A new wig cap. This is a strip of high quality powernet (the rest is set aside to redo my Pink Diamonds costume) with the lace top and strips from one of the wigs I cut apart. 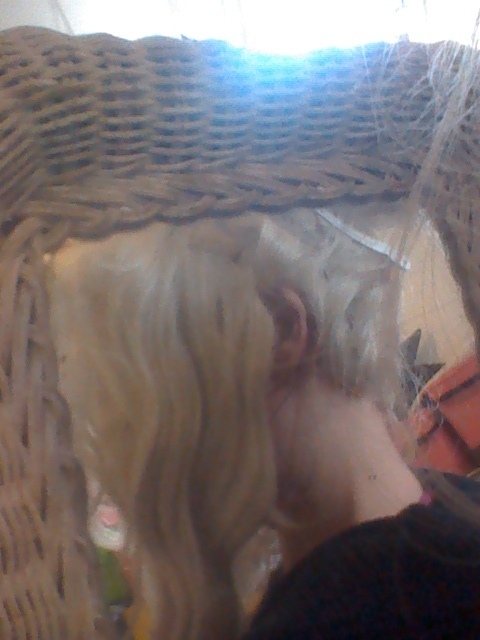 There are strips of the wig powernet in peach on the sides. 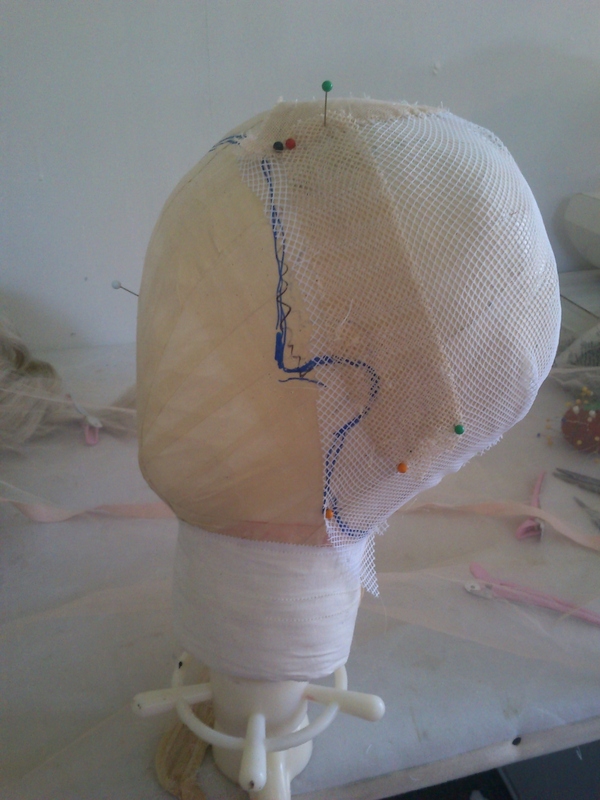 Step Two: Add the lace front to the nape of the neck. 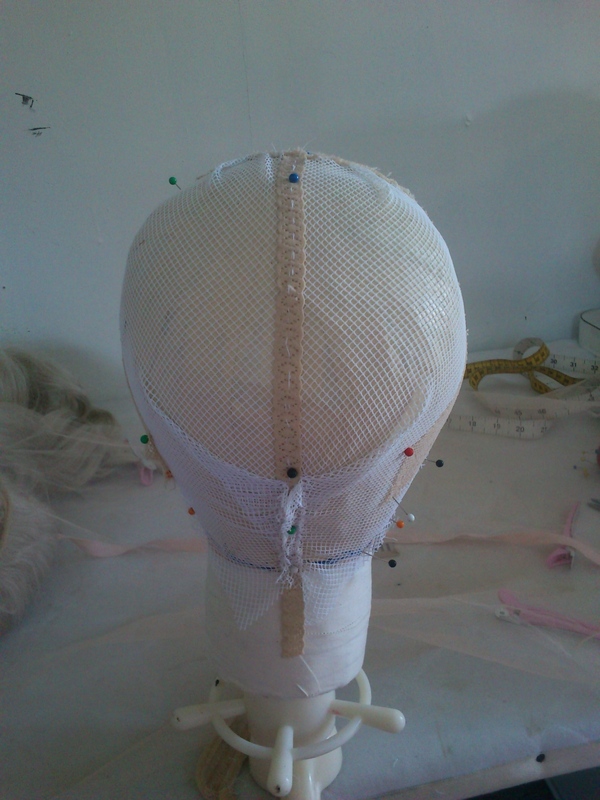 I added a strip of stable net and lace to the nape, to help support and reduce stress on the delicate net. This is to disguise the wig fully and the hair can be styled up or down. This is the interior view of a strip from a lace front. It is curved and has the front lace clipped already. 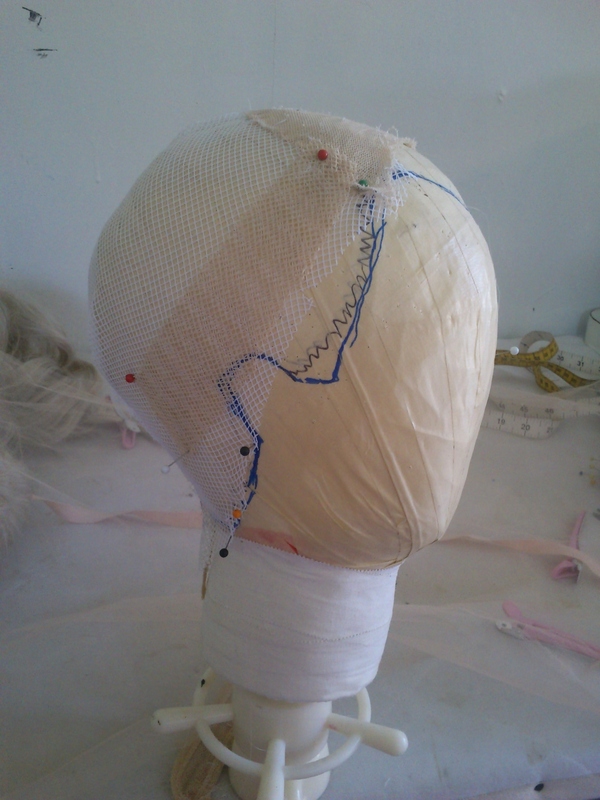 This is ongoing, and I’d also like to add a couple more lace strips back in to help stabilise the vertical stretch. 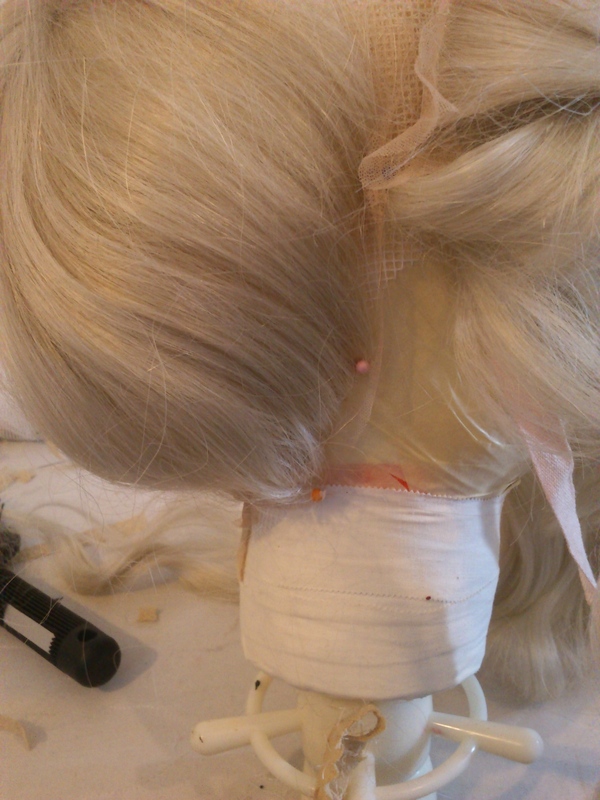 Start from the bottom to avoid having to flip the wefts out of the way.